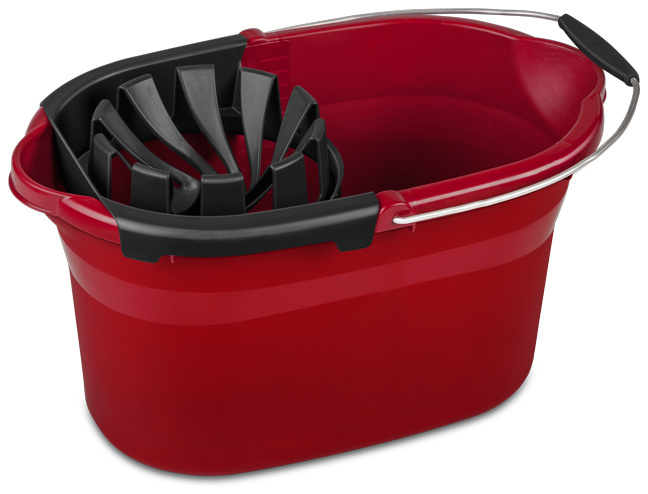 The 17.5 Quart Mop Bucket is designed to remove excess water from a rope mop while keeping your hands dry. 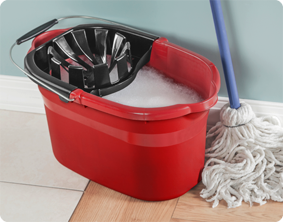 By placing the string mop into the wringer and firmly pushing down, excess water is squeezed from the mop into the bucket. A clip built into the wringer securely holds a standard mop upright, allowing you to carry a mop and bucket from room to room with one hand. The reinforced rim ensures full buckets of water will resist bending. Graduated markers allow you to easily measure recommended amounts of cleaning solution and water from your floor. 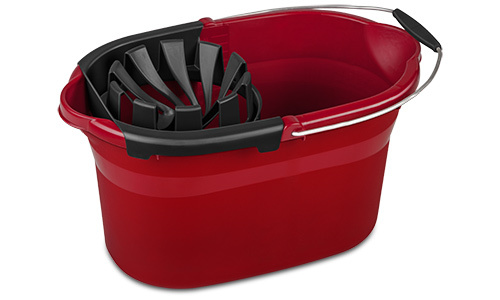 Ridges on the bottom of the bucket provide a space for dirt to settle away from the mop. Two pour spouts on the rim and two recessed grips on the bottom of the bucket allow for controlled pouring from either end. Overall Assembled Size: 18 1/4" x 11 5/8" x 10 1/8"
Ideal for all household mopping projects.